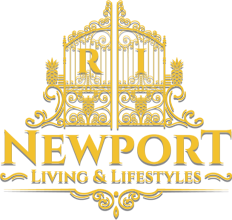 Welcome to Newport Living and Lifestyles, I’m Christon and I’m here with Cheryl DiGennaro of Newport Yacht Interiors. We are here for the Newport Charter Yacht Show right here in Newport at the Newport Shipyard. So tell us all about your participation in the show and why it’s so important to your business. This is an exclusive show for the yachting professionals in the industry. We have about 14 Super Yachts in the show, and 10 luxury yachts that are over 100 feet. We are an exhibiting vendor here as well as a judge for the tablescaping contest. This is not open to the public so we are giving you a sneak preview of these gorgeous yacht settings. This is going to be so fun, some people are really going way over the top; they’re having parties afterwards, they’re having drink tastings with their own signature drinks. Please follow us down to the shipyard. Moon to the table. Very organic this year. The Blue Moon crew are a tight crew, we’re very much a family and very proud to be here. This is gorgeous. Good luck in the contest. Aw, thank you. So can you tell us about your inspiration for this table? We like to travel down to the Bahamas quite a lot, so it is very Bahamian, just off the water, blue colors, inspiration to keep it light, not too formal, but a little bit of class and eloquence as well. I like how you have all this spilled glasses into the rocks. Exactly, because there are so many pebbles down in those islands and they’re the whitest pebbles you’ve ever seen. And to be honest with you, a lot of these pebbles I collected down there as well. Well you did a great job! Good luck to you! Cocktail? It’s called the “Marvel”-ous Mule Cocktail. This is a fun day, we have the fun balls, the Jacuzzi, can’t complain! There is an edible flower frozen in the ice cube. We’re here on Domani with chief stewardess Julie. So what was your inspiration for the table? Whenever we do a table on board, we try to incorporate a theme, and with that theme we accompany a lot of games. We want to make it fun, and we want the guests to have an experience. We even bought red noses! It was my second stewardess who actually has been dying to do the circus, and that’s going to be tied into our theme for the yacht hop tonight. We’ve got some very cool entertainment coming on board. Is it a surprise? I’m not going to say anything! We wanted to go for the antique look. It works for the decor of the room, it really fits in perfectly. Well you guys nailed it. Good to hear, thank you. Good luck with the competition, thank you so much. The judges did say to incorporate something that has to do with your yacht, so we figured what better to do than the Garden of Eden, with Adam and Eve and the temptation of the serpent. We love your grass tablecloth, that really makes it pop. Well thank you! Congratulations it’s really nice. Cheryl that was so much fun, it was amazing to go out on all of the yachts in the sun, the weather held out, it was really great to meet all your friends. Are you going to reveal who the tablescaping winner is? Not quite yet, we’re going to hold out. We will reveal on Friday who the winning table is, so stay tuned. Vote in the comments below. We look forward to seeing you, on Newport Living & Lifestyles.